What’s up CeeSoDope readers? I’m checking in to give you guys an important message, go vote. Today is the last day to vote for the midterm election and Democratic candidate for governor, Stacey Abrams is leaving no stone unturned. 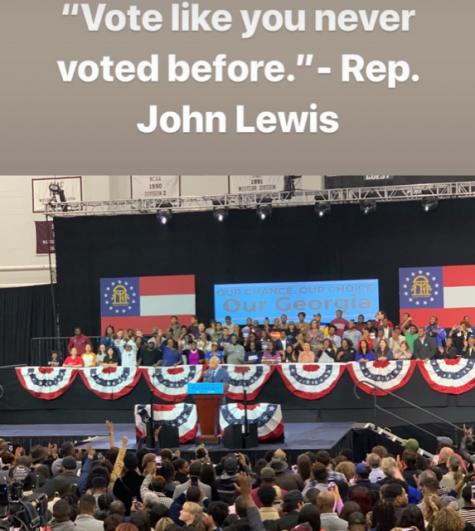 On Friday, Nov.2, Abrams appeared at Morehouse College Forbes arena for the Get Out The Vote Rally to reassure the citizens of Georgia her vision. Some of her policies include affordable housing, fighting to expand Medicaid to make healthcare more affordable, as well as advocating for anti-discrimination laws to protect workers. With notable figures like Oprah Winfrey and Barack Obama backing her up, it’s no doubt that today, Abrams is prepared to bring the votes in for her to become the governor of Georgia. 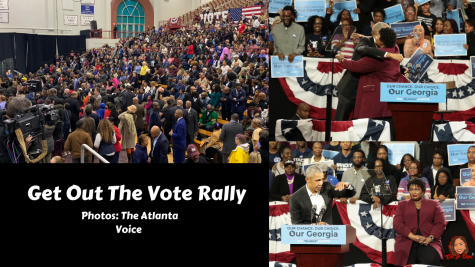 A number of celebrities and political figures attended the Get Out The Vote Rally including, Mayor Keisha Lance Bottoms, Democratic Lt. Governor candidate Sarah Riggs Amico, Ebenezer Baptist Church Pastor Rev. Raphael G. Warnock, former Attorney General Eric Holder, rapper 2 Chainz, producer Jermaine Dupri, actor/comedian Chris Tucker, and more. 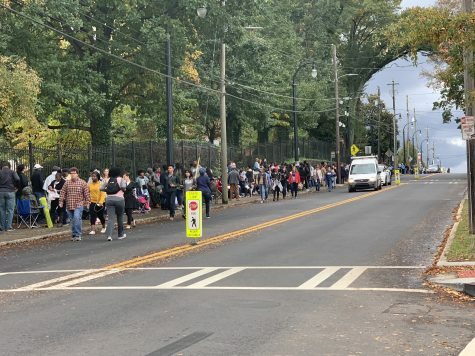 Over 3,000 people attended the rally with some supporters spending the night outside the Morehouse College Forbes arena. The line to get into the event passed Clark Atlanta University. 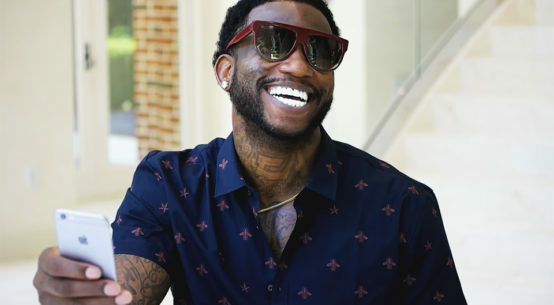 Some supporters included staff at the illustrious Clark Atlanta University like Professor Daniel Black in the Department of African American Studies, Africana Women’s Studies, and History. Brice Anderson, a digital organizer for the Democratic party of Georgia, runs the social media to help support Abrams’ campaign, Amico, and Democrats across Georgia. Anderson expressed his thoughts on the importance of the Get Out The Vote Rally. As the crowd chanted for Abrams, she appeared on stage sending the audience into a frenzy. Abrams appeared on stage telling everyone how vital it is to go out and vote if they haven’t already. Majority of the crowd raised their hand when asked if they have already cast their ballot. With a different vision from her opponent, Republican candidate Brian Kemp, Abrams says that she will do for all people. “Georgia can do more and be more for ALL of us,” Abrams said. Rapping up her speech with her vision for Georgia, Abrams welcomed former President of the United States, Barack Obama on stage. Obama pointed out his concerns if Abrams isn’t elected as governor. 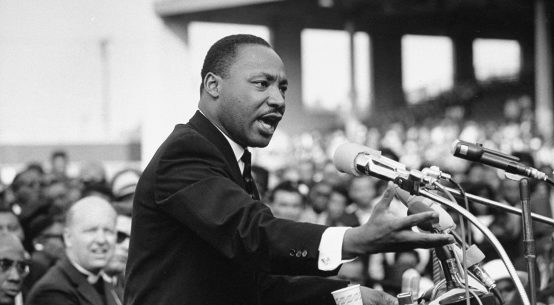 “The character of our country is on the line,” Obama said. During his speech, Obama credited Abrams and supports her policies of affordable healthcare, equal rights for all people no matter where they came from, what they look like, or who they love. “If you believe in the constitution then you know that one person cannot decide who is an American citizen,” Obama said. The polls close today at 7 p.m.